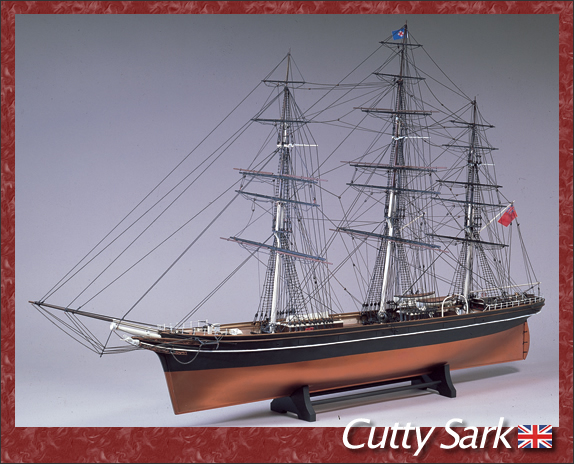 It is a tea clipper built in the UK in 1869. A hull structure in which an outer plate is affixed to the inner iron frame. 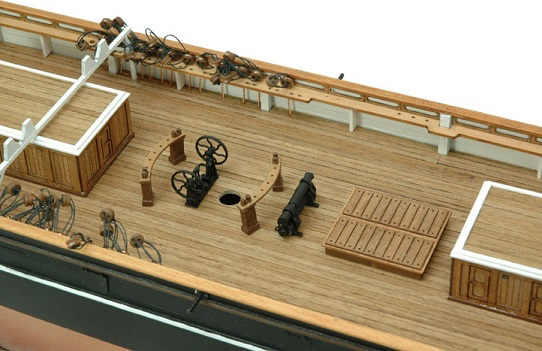 The deck and the deck house used teak wood, and it was a typical wood-steel mixed ship using iron such as mast. 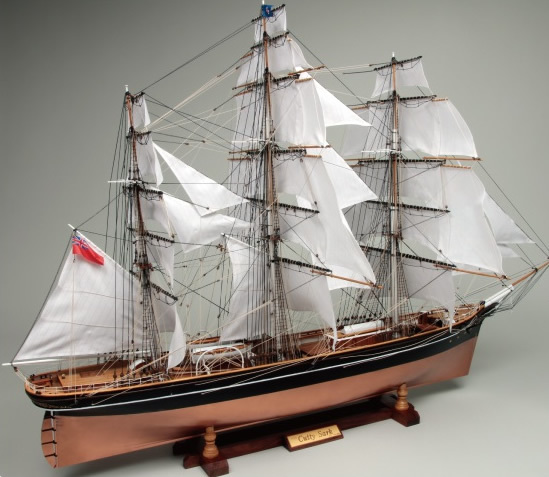 British shipping industry was a long-standing desire to have a ship that can win in the tea clipper race between China and the UK. The rapid speed that I showed in the race developed with Thermopylae in 1872 was told through until later generations. The kit is a hull with a newly designed box structure with little distortion, and the keel frame uses precision laser processed parts. 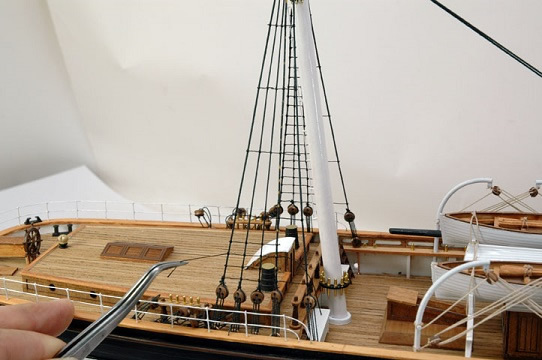 Deck uses full teak wood to give the texture of the actual ship. All metal items are newly designed. 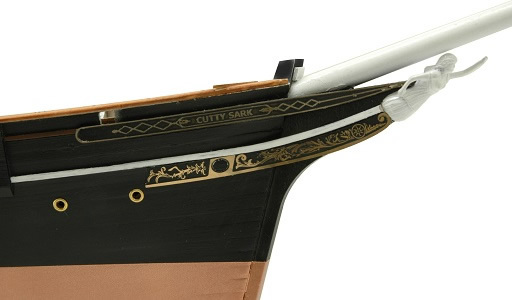 It is newly designed by etching and the bow and stern decoration delicately reproduces sharp edges. Three original size drawings. A photograph of the manufacturing process is posted in the color manual. 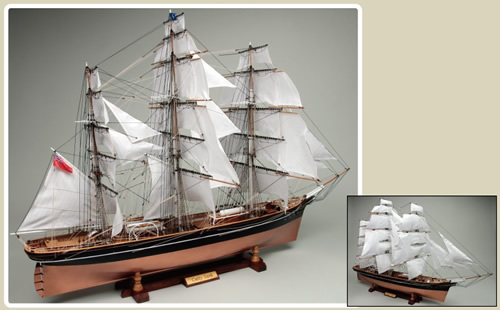 The ship's pedestal is newly designed and uses high quality wood rosewood. 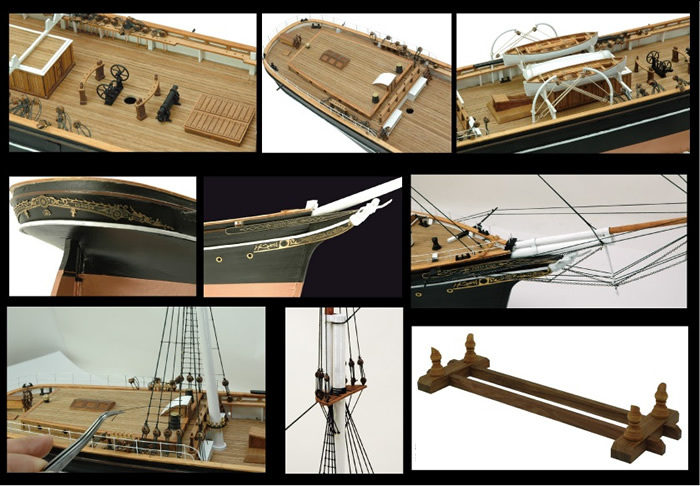 *61 kinds of wooden parts and 81 kind of metallic parts use. *Full sale model by whom even sail of assistance is reproduced. *Time until completing: For about 200 hours.